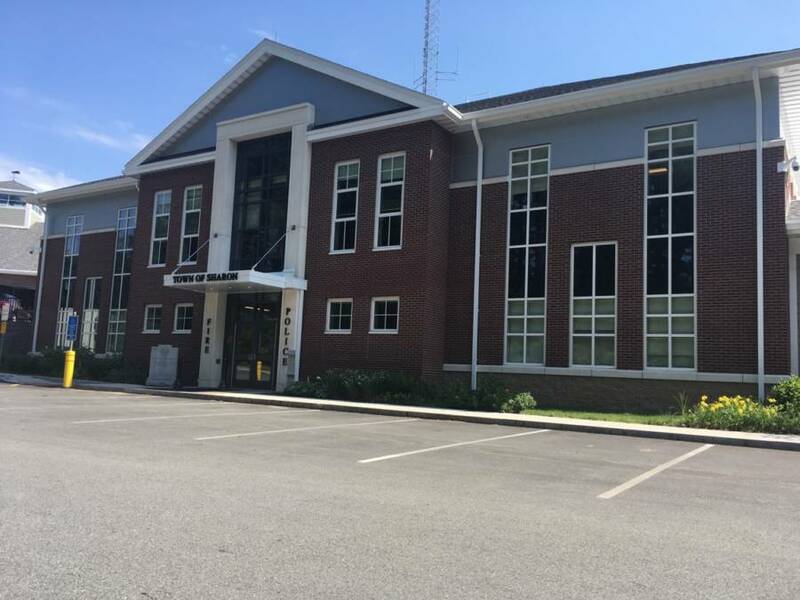 The Sharon Police and Fire Departments have been added to an existing Department of Public Work complex. The buildings – located on South Main Street – house both departments and include a shared lobby and 911 center. The construction was phased to keep the original police station operational while the new building is under construction. The DPW remained operational throughout construction. The development plan included three new buildings, associated parking, loading, and drive aisles, stormwater management systems consisting of three underground infiltration systems, new utility services, and design of a 2,000 gallon-per-day septic system. DiPrete Engineering teamed with Kaestle Boos Associates Architects, Mitchell Associates, Building Engineering Resources, McMahon Associates, and Universal Environmental Consulting to design and permit a new $24.75-million public safety facility on 10.3 acres in Sharon, Massachusetts. DiPrete Engineering’s scope of work included site/civil engineering, septic system design, regulatory permitting with the town, construction documentation, and administration.